Parts tray with a magnetic base. 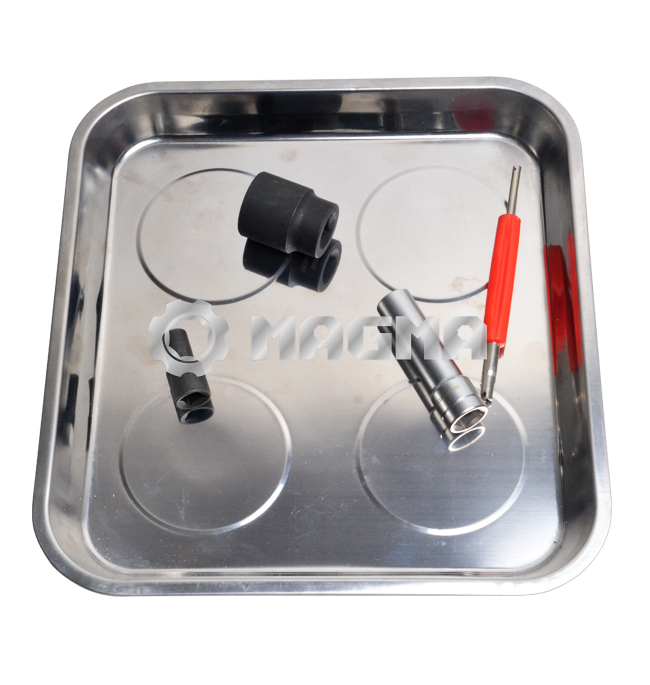 Four powerful magnets with rubber protective cover. Use in any position - right side up or upside down. Dimensions: 270mm (10.5") x 290mm (11.5"), depth: 25mm (1"). Perfect for safely storing nuts, bolts, screws and other small metallic objects.